Lynnwood Farms Subdivision Tour Fort Mill, SC Homes for Sale from Turner Real Estate Group on Vimeo. The Turner Real Estate Group would like to welcome you to a tour of Lynnwood Farms subdivision. 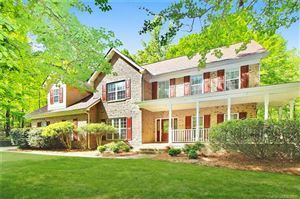 Lynnwood Farms is very quiet country lifestyle neighborhood located on Doby’s Bridge Rd. 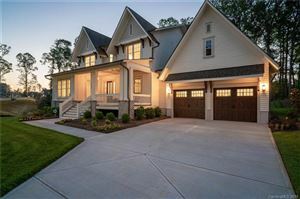 In Fort Mill, SC with easy and quick access to HWY 521 and the Ballantyne area of Pineville, NC..
Lynnwood Farms is a neighborhood that will appeal to those looking for large well built homes on larger lots with plenty of privacy but close enough to enjoy the modern conveniences of nearby businesses. Most homes in Lynnwood Farms are less than 10 years old, are 2,500+ square feet with 3-4 bedrooms and sell in the mid to upper 200s. Lynnwood farms is also an equestrian lovers dream, as it offers a full Equestrian Center plus miles of trails for horseback riding.The Equestrian Center spans across 25 acres and includes a 20 stall barn with large 12 by 12 stalls and a 220 by 140 foot riding arena with outdoor lights. Fort Mill not only boasts a great tax rate but award winning schools. Residents attend Fort Mill Elementary, Fort Mill Hill Middle, and Nations Ford High School. If you are an equestrian lover or just love beautiful houses with large lots with privacy and close access to shopping dining, and business then please call us to check out Lynnwood Farms in person. For more information on this neighborhood any many others located in the Fort Mill area please visit arbiehomes.com. We would love to have the opportunity to serve your needs.